When I first moved into our home. Our kitchen flooring was... How can I put it? Not the most attractive flooring a home could have especially for it to be an older home. The first time I went to the Misters aunts house. I feel in love with her flooring. It's just something about the clean finish wood flooring gives to a kitchen. I love how they how just feel so great walking on. Especially with the cold New England weather we have. To me, they give off such a luxury feel. Since we were blessed to have our original hardwoods floors in pretty much throughout of home except for our kitchen, bathroom, and hall. It's time for us to have a more consistent flooring flow through our home. I envision walking into my dream kitchen and just having that wow moment. You know that jar dropping moment you have when someone on social you follow on social media post a picture of their home and you feel as if it's too pretty to be really in a home. You know that kitchen you dream about. 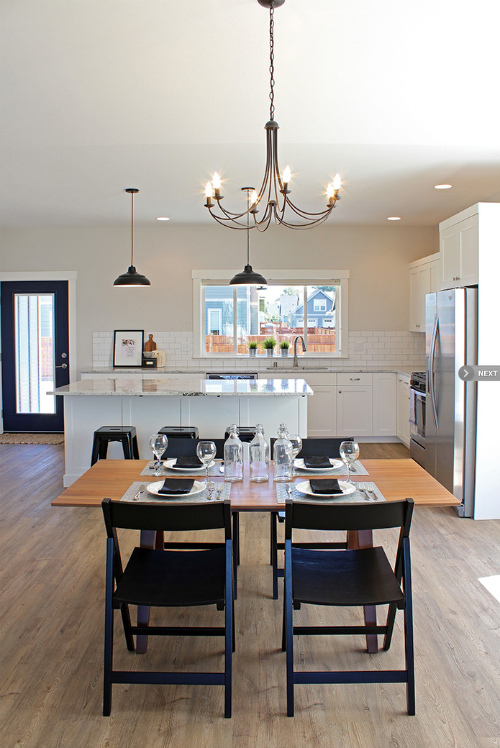 The kitchen you're looking forward hosting family dinners and creating memories in? The kitchen that your family and friends say your wood flooring is too pretty to walk on. I just want that space that I brew my tea in, and just sit back against the cabinets and counter tops and say to myself. "This is really mines", "this is really my dream kitchen". You know, the moment you have a tear of joy drop down from your cheek with so much excitement. 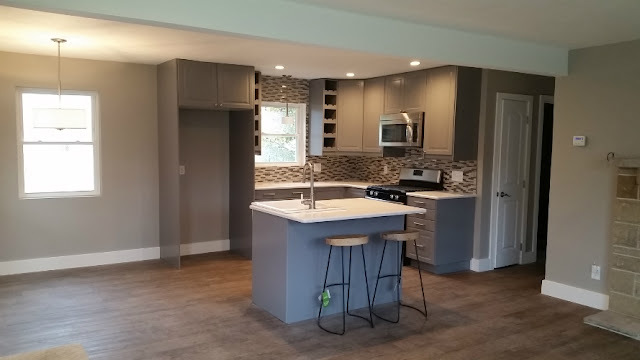 I've never had a kitchen that was everything I want and more and now is the time for me to get what I want to make our kitchen my everything and our dream home. I just feel that when you love the space you spend so much time in. It makes you want to be in that space even more. I am always looking for what's best for my family. Yes, the price is always a factor. 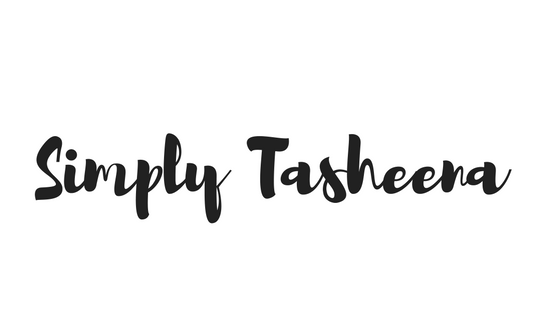 However, the quality of the product always takes priority. I stumbled across a homeowners dream site. As we are in the early stages of getting our home remodeled. I can't wait to get the free samples in of the flooring from GoHaus. I love that GoHaus offers a wide variety of flooring. 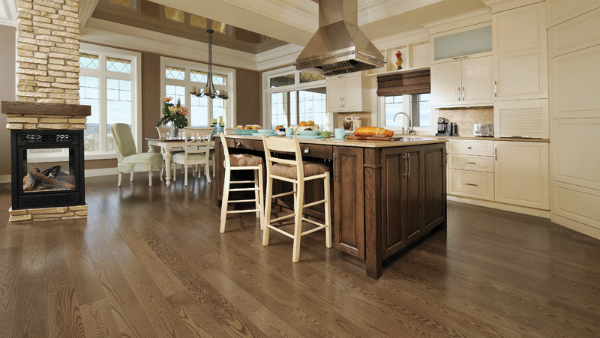 One of my favorite flooring that GoHaus offers is the maple wood flooring. I can't wait to see how the flooring looks in our home. Plus, GoHaus has a great selection to choose from. From Vinyl Plank flooring to Porcelain tile flooring make your home complete. 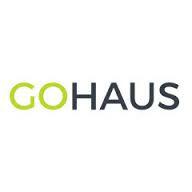 GoHaus was created in order to make quality, eco-friendly design accessible and to help homeowners take creative ownership in their personal spaces. We're a team who whole heartedly believes inspiration is the key to unlocking a great experience for you and your guests; an experience that is tailored, shared, enjoyed, and that inspires others. We don't just sell quality products at a great price, we offer ideas that spark the creator in you to make a space all your own. Whether well-crafted flooring, wall paneling, or everything in between, we encourage you to find that one idea – that spark – and build around it.